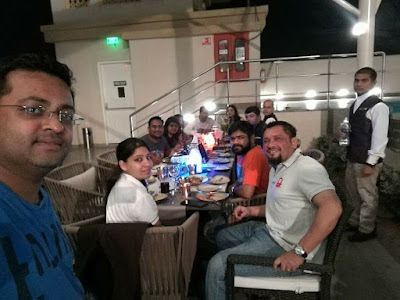 After a royal experience at Hotel Grand Mercure Mysuru and resting in my room, the dinner was ready at the rooftop specialty restaurant - By The Blue which overlooks the pool and the skyline of Mysuru. Now that SILK bar has got liquor license, the dinner was paired with some amazing cocktails. 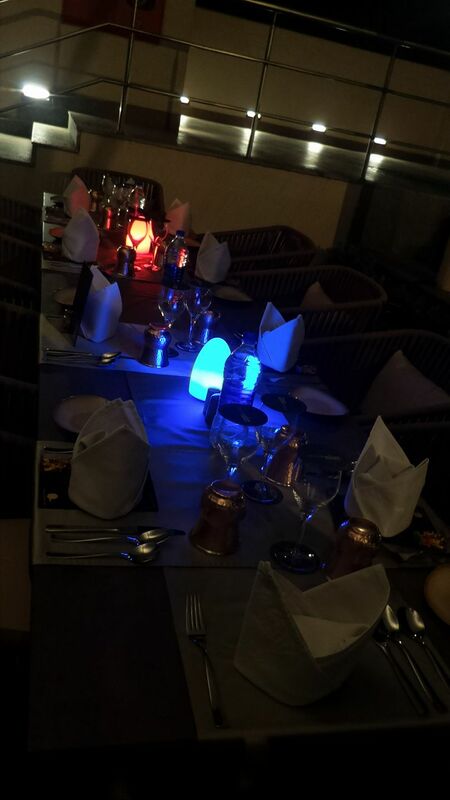 The table was set with a menu designed for the bloggers table and Executive Chef Mukul Jha took us through the entire menu. 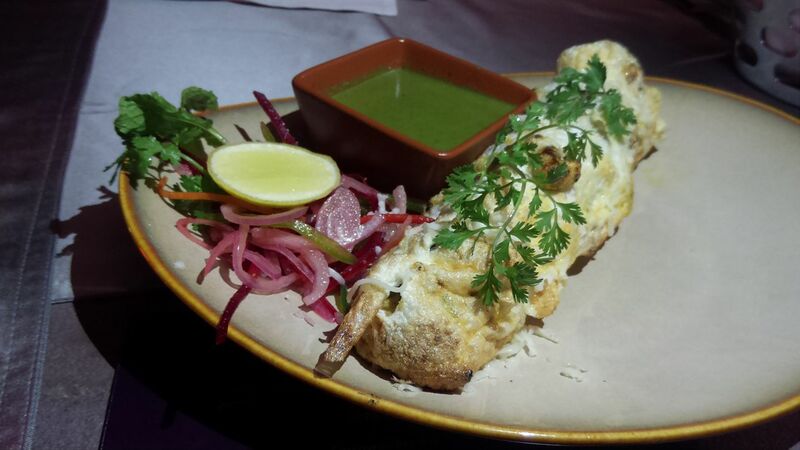 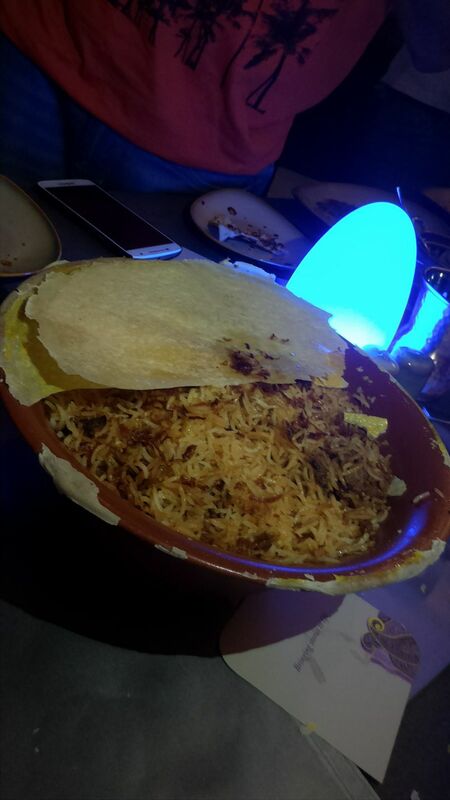 By the Blue serves food from the North West frontier. 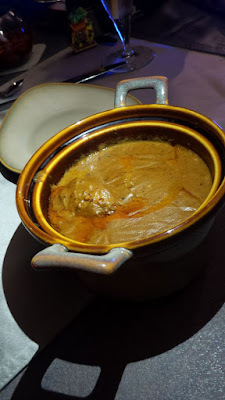 Menu had 'Dal Bhukara' which got me excited and made me interact with the chef as only those extraordinary chefs who have had a stint at the ITC Properties have put Dal Bukhara - the longest cooked lentil in the world on everyone's taste buds. It's a combination of whole black lentils, ginger, tomatoes, cooked over slow coal. 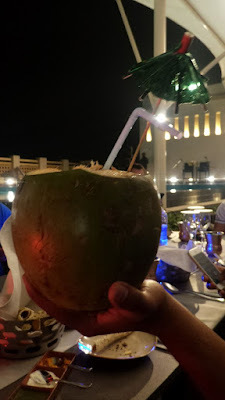 As I do not consume alcohol, I did not try the cocktails and their pairing with the meal cannot be judged by me, I just had a Nitrotini Virgin which was none other than coconut water with lime juice with my meal. 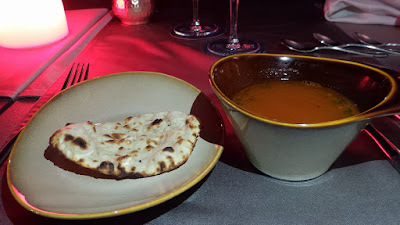 The meal started with Surkh Taal Shorba, fresh tomato broth flavoured with smoked caraway seed, garnished with fresh coriander leaves served with mini Naan. 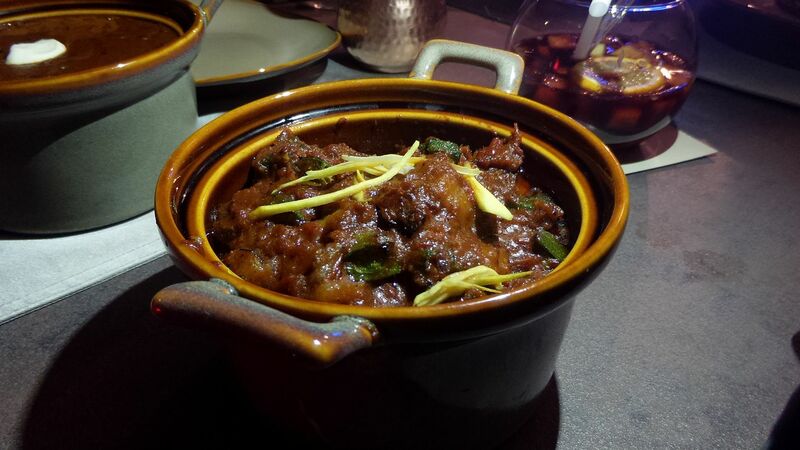 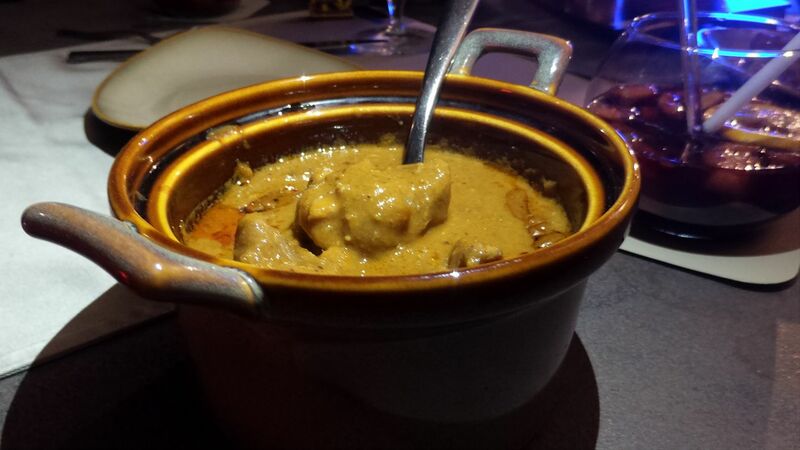 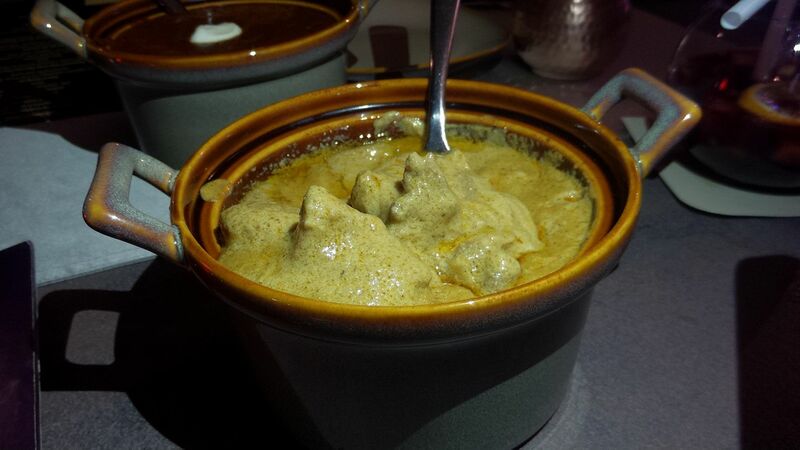 For a cool and breezy evening, this shorba gave the must desired warmth and spice. 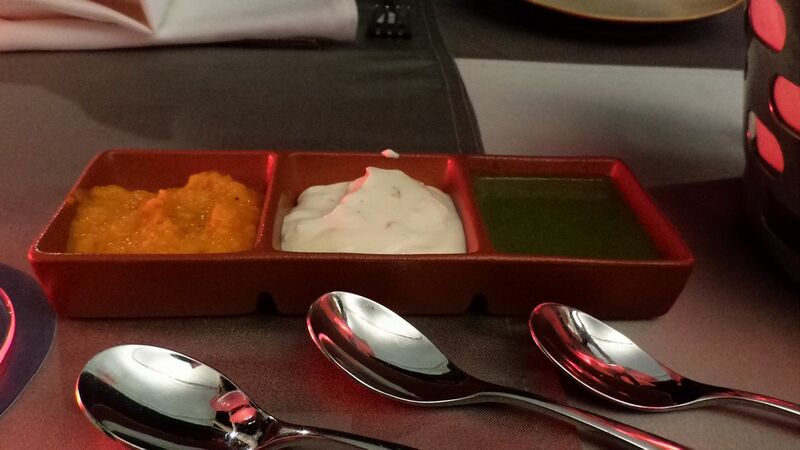 Then the appetisers were served, first came Sarsowali Broccoli which had fresh broccoli florets marinated with yoghurt, yellow chili paste Mustard oil and cooked in clay oven. 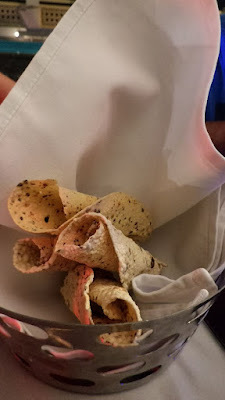 Another dish which impressed me as I could taste a burst of flavors with every bite. 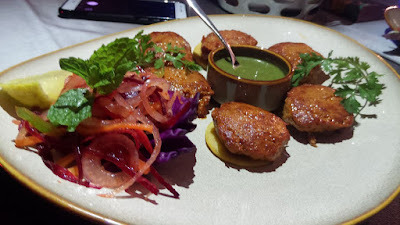 Next was Kalonji Wala Mahi Tikki, fish cubes marinated with green chilies, mint, and coriander, smoked mustard oil and cooked in clay oven. Each dish was better than the previous one making me eager for the next one. 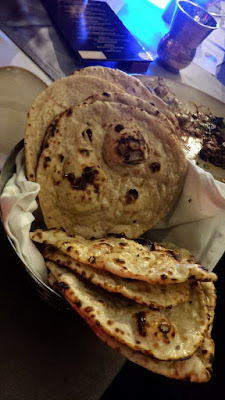 Then came Galouti Kebab, a melt in the mouth specialty of double mince mutton cooked with Indian spices, served a top warqi parathas and lehsuni dahi. Good galouti has always been my weakness and this was one good experience for my taste buds. 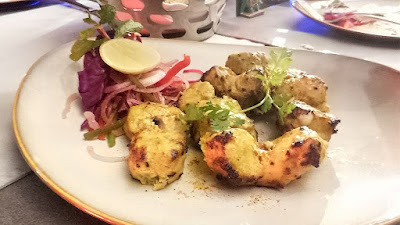 Mugewala Kukkad got me curious as the chicken were marinated with Indian spices, coated with egg yolk and cream cooked to done in clay oven. This was the highlight of the appetisers and I have never tried as innovative as this chicken dish ever. Then the main course were served. 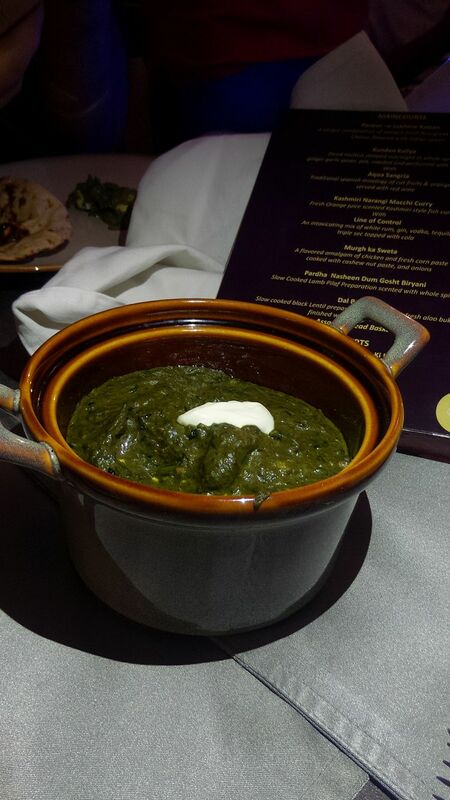 Veggies enjoyed Paneer-e-Lukhme Rattan, combination of spinach fresh fenugreek and cottage Cheese flavored with Indian spices. 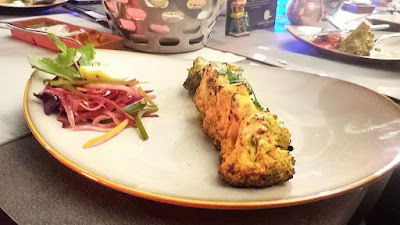 This was a unique combo and tasted well but I was saving for the non-veg dishes. Kundan Kaliya, diced mutton steeped overnight in whole spices, ginger garlic paste, pot, roasted and perfumed with cardamom was relished with naan's while Kashmiri Narangi Macchi Curry which had fresh Orange juice scented Kashmiri style fish curry was enjoyed with rice. 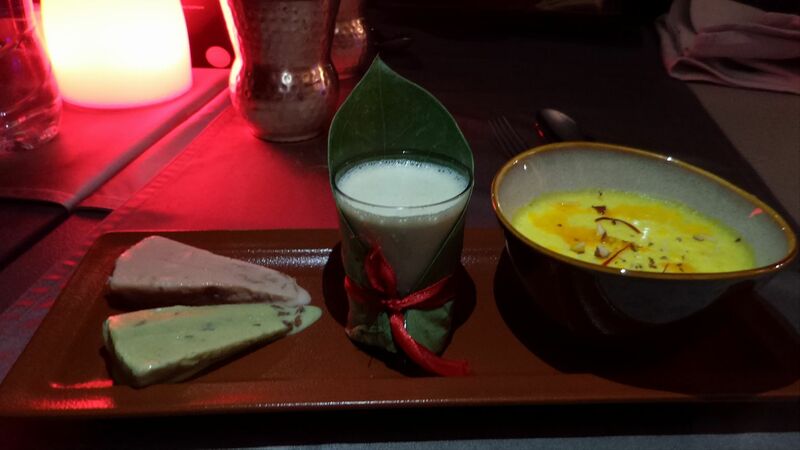 Both the dishes had burst of flavors and were really rich. I also tasted some lip smacking veg dishes. 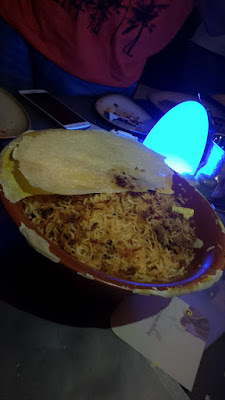 Not a biryani fan, but Pardha Nasheen Dum Gosht Biryani did linger the taste buds as this slow cooked Lamb pilaf preparation which is scented with whole spices was cooked to perfection. 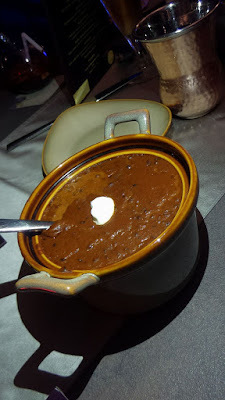 And finally, my tummy had space for Dal Bukhara, slow cooked black Lentil preparation infused with fresh aloo bukhara finished with butter and cream. 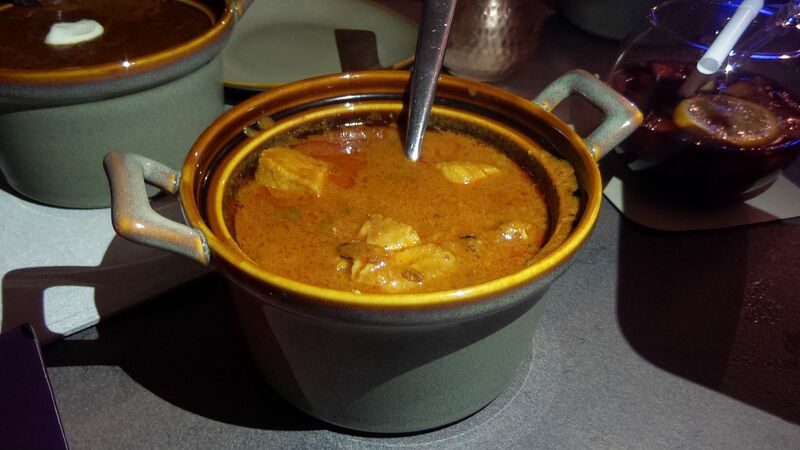 I could eat this all by itself and all day. For desserts, yes I did have some space for desserts despite eating the most delicious and rich meal, Kesari Phirnee and Pan Ki Kulfi with Magahi pan shots was served.